Do the front spacers chip any of the paint around the wheel arch? The spacer itself is on the hub so it can't touch any of your paint. Now if you go with a large spacer and really poke your tire out from the fender you could get more road debris flying up from the tires. for a large selection of Alfa Romeo 4C Parts and Accessories in stock at the lowest prices. 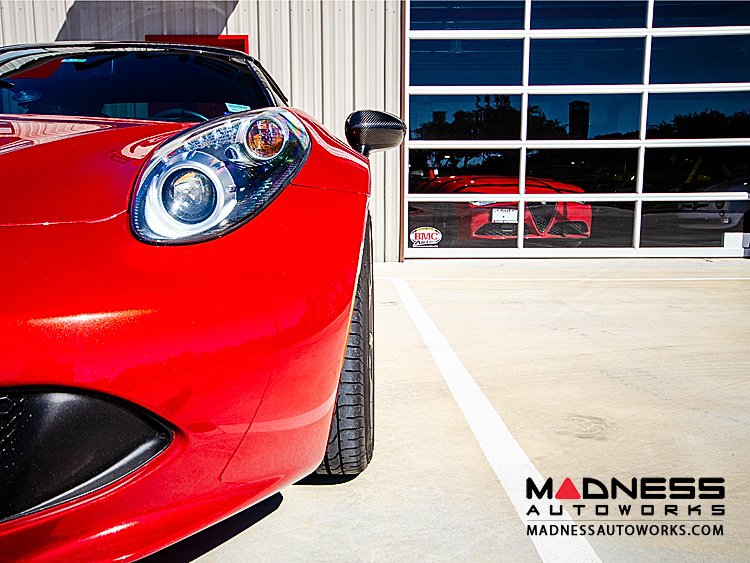 Get that flush look on your Alfa Romeo 4C with these custom Athena wheel spacers! Athena makes some of the best spacers in the game right now and these carry TuV approval to certifiy their great build quality and materials. These are hub centric spacers designed specifically for the 4C so there is no wiggle room once mounted. Which will ensure that your lugs to not bear the strain like other spacers. I'm considering getting 20mm spacers for the rear only. I have the Alfaworks front suspension blocks fitted, so don't need spacers at the front. I want the wheel nuts/lugs to look the same on all wheels. Can you get the lengthened bolts for these Athena spacers to match the stock 4C wheel nuts/lugs? We just had a customer do a great review on the Athena Wheel Spacers for the 4C. As always, if you have any questions or concerns please don't hesitate in reaching out. Do the 20mm Athena spacers have the longer straight through bolts, or the same configuration as the 25mm spacers (which bolt to the hub with separate bolts and then use the stock wheel nuts to bolt the wheel to the spacer)? The pictures on the Madness site indicate the long straight through bolts, but the post above from Texas4Cforever suggests the 20mm spacers have the same config as the 25mm spacers, so I'm confused. 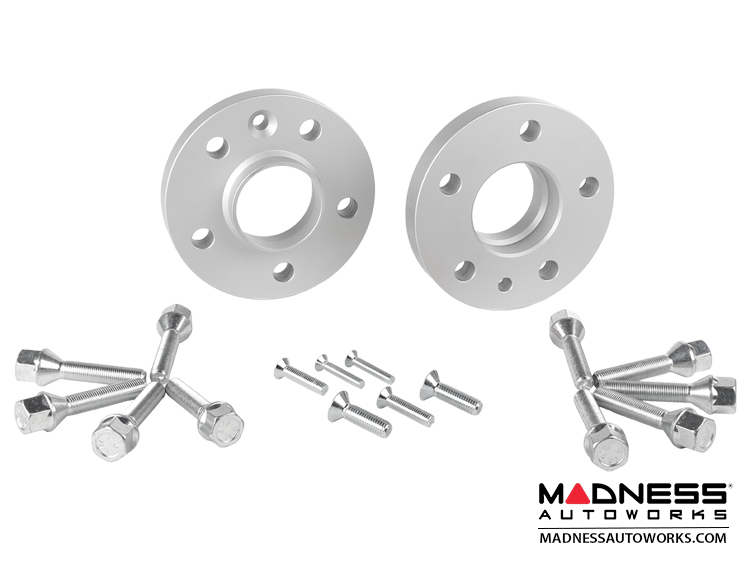 The 20mm spacers come with extended length wheel studs which are different than the 25mm+ applications that come with flush mount allen bolts that mount the spacer to the hub and your stock wheel bolts hold the wheel to the spacer. We ship globally so we have you covered! Yes, that is correct. The allen bolts that come with the 25mm spacers recess into the face of the spacer (providing a flush mount) attaching it to the hub. Then you use your factory wheel bolts to mount the wheel to the spacer. Perfect, ty. I just ordered a set of 25mm for the rear. Can you please confirm the torque # or is that included with the spacers?